Tŷ Mawr - 'Big House' - is a stone cottage that is over 200 years old. We have three double rooms and a very cosy tea room. The rooms have television, heating, hairdryer and a hospitality tray with tea, coffee and biscuits. Room 1 is the largest and has en suite facilities. An additional fold away bed is available, if a third person wishes to be accommodated. Rooms 2 & 3 share a bathroom with toilet, shower and a separate bathtub. In the tea room we have a fireplace where you can dry your wet walking gear, if necessary. We offer sandwiches, Welsh cream tea, snacks and many homemade dishes, e.g. soups and Dutch pancakes. We prepare packed lunches and also cook evening meals (we are not licensed, but you can take your own bottles of wine, beer, etc.). Our ingredients are locally sourced where possible. The sausages and bacon used come from an award winning quality butcher in Caernarfon. The tea room is closed on Tuesdays. We are located in the hamlet of Rhyd Ddu, at the foot of Snowdon. 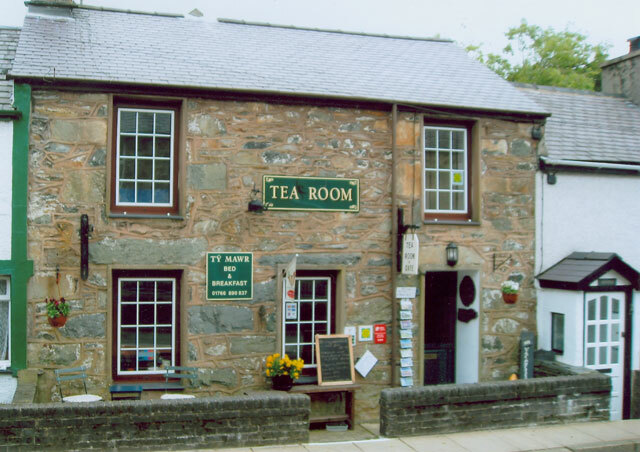 This village lies on the A4085 between Caernarfon (10 miles) and Beddgelert (4 miles). The Rhyd Ddu path to the summit of Snowdon starts in the village, as does the walk over the Nantlle Ridge. The Welsh Highland Railway stops in Rhyd Ddu, and the village pub is almost next door. We speak English, German and Dutch and look forward welcoming you as one of our guests.